The Indo-Pak region is infested with Barelwis. I did not read the book but I live in Bangladesh which is in India subcontinent. I know very well about Barelwis. The founder of Barelwi sect Ahmad Reza Khan Barelwi was a British agent whose duty was to destroy the monotheism of Islam. 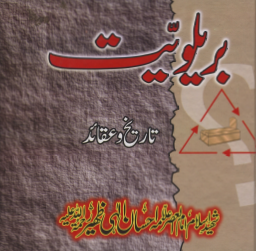 In terms of Aqeedah, Barelwis are almost similar to their neighboring Hindus. Both community believes the wali are media between Allah and a supplicant. Hindus worship idols, Barelwis worship the grave, dead saints, peer (sufi master) etc. 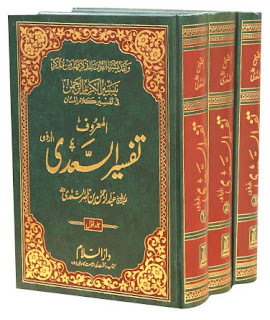 Barelwis are mushrik according to the Book of Allah. What nonsense! Is it a research book at all? Don’t spread lies and hatred against the Muslims . Be responsible and act in the interest of the Muslim Ummah. You Wahabis are only creating fitna. Your firqaparasti has surpassed all .24 hours you are slandering the Muslims as mushriks. Poor fellows! They are’nt aware that this is the key charactaristic of the Kharizis. My humble request to the editor/supervisor of this website is, please highlight the burning problems of Muslim Ummah and chalk out how to address them. Ever since Wahabis have become the ruler of Arabia with the support of the British, Muslim Ummah has been lagging further And further. You mean ever since the so called wahhabis have ruled Arabia they have bought the Sunnah back, name me another Muslim country which follows Islam in the countries laws? Pakistan?!! Bangladesh?!! please stop spreading lies and open your eyes and read and you would stop following a religion that was invented by the British agent Reza Khan the Shia. 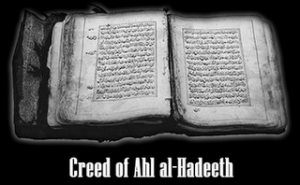 I am waiting for you in “Muhammad Ibn Abdul Wahhab and The Ahl al-Hadeeth” page. Come there. I would love to see your excellence in playing word-game. brother I don’t have the time, energy or even knowledge to rise up to your stupid challenges, You made claims against Muhammad ibn Abdul-Wahhab and now want me to prove your writings is a lie??!! what planet are you on man? I don’t allow you sufis to have a platform here to misguide people and every time you comment your link to a deviant sufi website will be deleted so why waste your energy and mine? Jahalat k dosra name barelwi.